I wanted to wish you all a very blessed and peaceful Christmas and a healthy and happy new year! 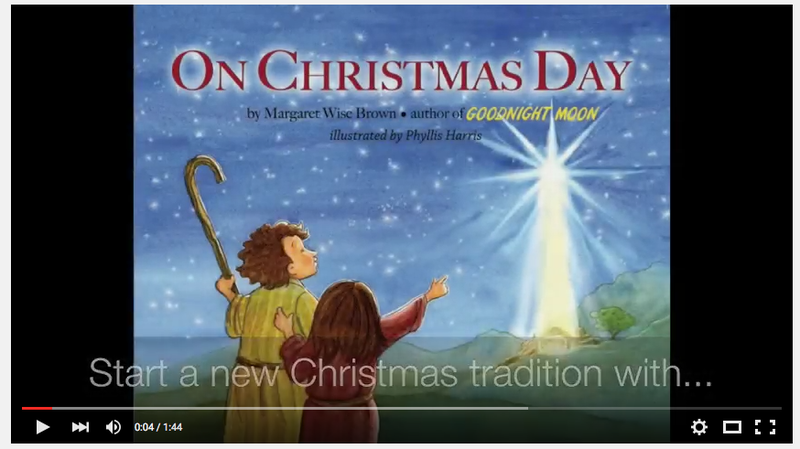 I created this video that shares the sweet words of the late great Margaret Wise Brown from her book ON CHRISTMAS DAY that I was so very blessed to illustrate. I still have a few first edition copies left and you can get a signed copy from the illustrator(me) in my shop here. The beautiful guitar in the background is my talented husband. To see a preview of this sweet book click on the video below. You my friends, are the reason for the joy and success of Phyllis Harris Designs and I cherish you and your support. I so appreciate you sharing our website with your friends and family; and I wish you all a blessed Christmas season and a happy 2016! I will talk to you next year!